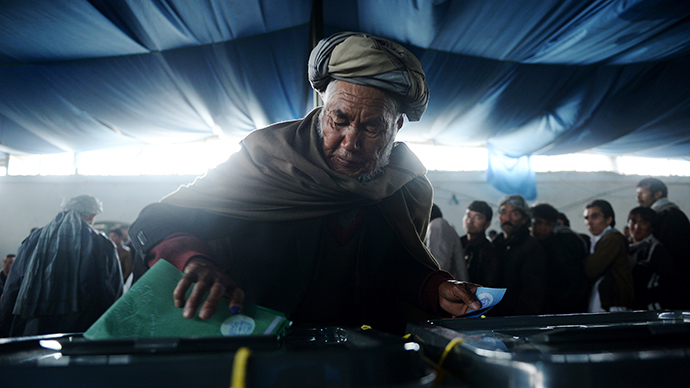 More than 3,000 complaints of election violations have been reported following Afghanistan’s election at the weekend. Voter turnout was unexpectedly high in spite of a wave of attacks by the Taliban aimed at disrupting the election. The Independent Elections Complaints Commission has so far registered a total of 3,103 complaints, but the number is expected to go up as more reports of foul play flood in. A spokesman for the commission told Reuters that only half of the complaints would be investigated as the rest were reported by telephone and lacked evidence to back them up. “We cannot ignore the fact that during the elections, there were instances of fraud and electoral violations,” said Nader Mohseni, spokesman for the commission. In spite of the reports of fraud and multiple Taliban attacks, the international community has praised the election process in Afghanistan. 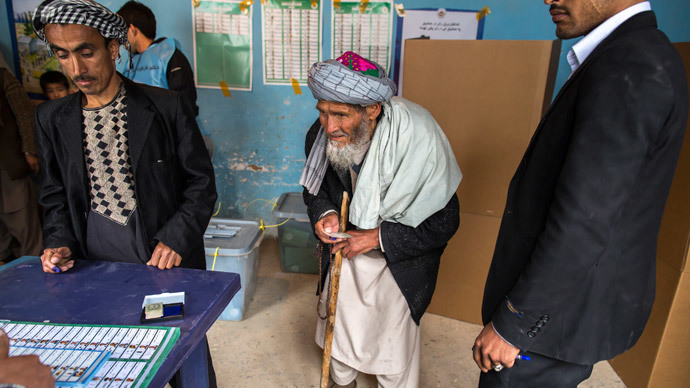 Over 60 percent of the voting population made their way to polls in defiance of Taliban threats to target them in strikes. 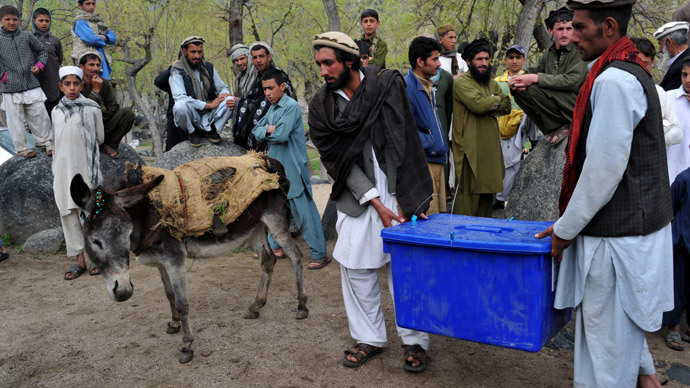 However, despite the high turnout, RT correspondent Lucy Kafanov, who followed the voting process in Afghanistan, said there were still inconsistencies that needed to be investigated. “There were small parts of the country that barely saw any voters, such as districts in the Wardak province where the Taliban hold sway. Those kinds of areas couldn’t be monitored properly because of the security threat,” said Kafanov. She went on to say that reports of “ballot stuffing” had yet to be investigated and it may take weeks to get the final result of the vote. 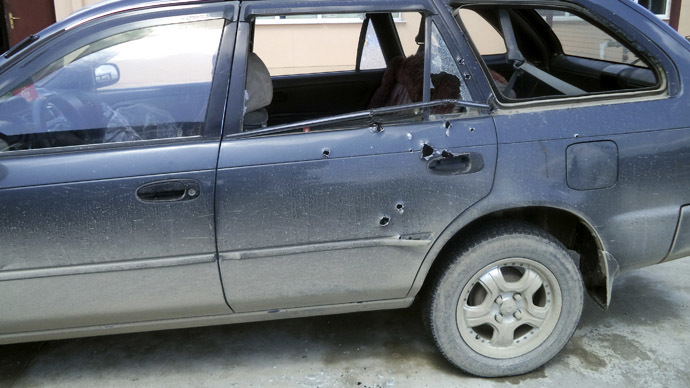 The Taliban claimed they carried out 1,000 attacks on Election Day, with officials saying that nine police, seven soldiers, and 89 Taliban militants were killed across the country. As it stands, the two frontrunners in the election are former World Bank executive Ashraf Ghani and former foreign minister Abdullah Abdullah, according to preliminary tallies from Afghan news organizations. To win the election, one candidate must obtain over 50 percent of the votes or there will be a runoff vote. Current President Hamid Karzai has said that all reports of election fraud will be investigated before he steps down after more than 12 years in office. These election results will be closely followed by Washington, which failed to seal a security pact with Karzai in the months running up to the election. The proposed US deal would allow a number of American troops to stay behind in Afghanistan following December’s scheduled pullout to help with the security effort. Karzai has slammed the agreement and condemned it as indicative of an American policy of interference, while frontrunners Abdullah and Ghani have both pledged to sign the pact.